(VLMP) Who are the CLIPPers? The CLIPPers are the volunteer invasive plant patrol coordinated by Lisa Hall that promotes prevention, early detection and rapid response to invasive plants on Crescent Lake. 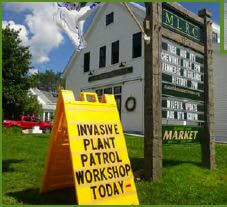 Volunteers are trained to recognize the invasive aquatic plants on Maine’s “eleven most unwanted” list, and to distinguish these invaders from their native Maine look-alikes. ​Crescent Lake is divided into sections with each section being patrolled, surveyed and inventoried each year. These reports are provided to the Lake Stewards of Maine annually. ​What You Should Know About Invasive Plant Patrol This organization (Lake Stewards of Maine) has been keeping watch on Maine lakes and rivers since 1971. This presentation will give you the background of this important work. ​I am happy to report that NO invasive plants were found in Crescent Lake during our recent summer survey! The all-volunteer “CLIPPers” (Crescent Lake Invasive Plant Patrol) monitored all of the Crescent Lake shoreline and found only native Maine aquatic plants! Lisa Hall CLIPPer Coordinator. ​The CLIPPers for Crescent Lake Invasive Plant Patrol volunteers spent 104.25 hours patrolling Crescent Lake in 2018. Here is what was found and where these plants are located on Crescent Lake. 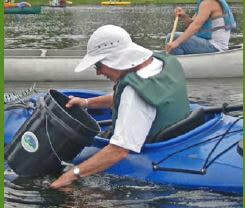 ​We are on the look out for invasive species to ensure we protect Crescent Lake. Prevention is the best course of action. These pictures will provide you with a look at those invasives that are considered "most wanted". Maine Milfoil Initiative, Saint Joseph’s College; Roberta J. Hill, Invasive Species Program Director Maine Volunteer Lake Monitoring Program. 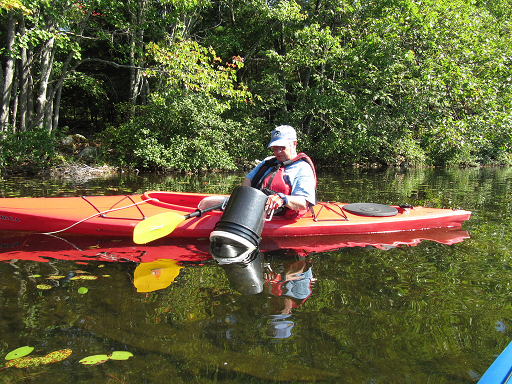 The guide is "dedicated to the citizens and lake groups of Maine who have committed back-breaking labor, ingenuity, and personal financial resources to battle the spread of invasive aquatic plants on Maine’s lakes. Their unflagging passion has turned the tide in the battle for the preservation of our unique and irreplaceable water resources."